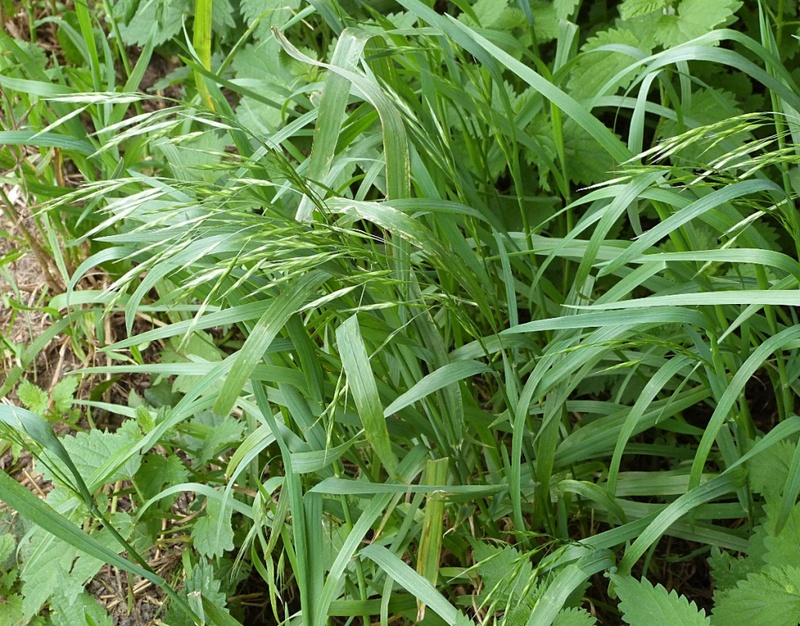 Ceratochloa carinata can grow to a metre or more in height and has numerous broad leaves. The inflorescence is large, and likely to droop at fruiting under the weight of the fruits. 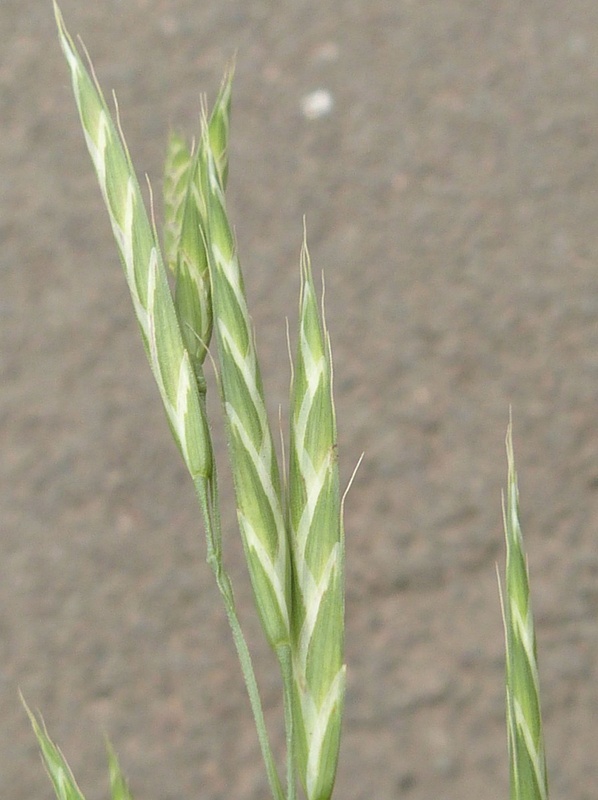 Spikelets vary from 1 to 4 per branch and are distinctly flattened, 15 to 60 mm long. Lemmas are hairy on the back with a terminal awn up to 6 mm long. 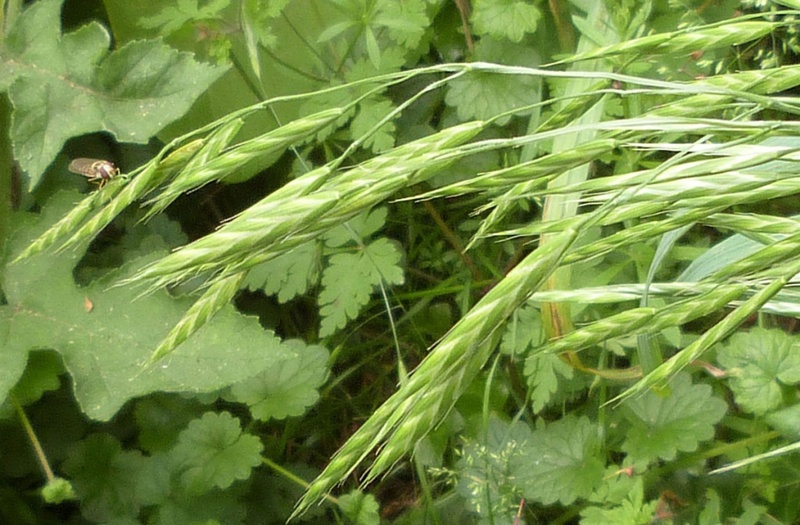 Found on road verges, towpaths, beside paths, on field-borders, waste ground and by rivers. Flowering around June in britain. A vigorous perennial herb, which is often short-lived or annual in Britain. It was first recorded in Britain as an escape from the Royal Botanic Gardens, Kew, in about 1919, but it did not begin to spread until 1945. There were still only a very few records in the 1962 BSBI Atlas. Since then it has spread well, particularly on lighter soils. Rare in Leicestershire and Rutland. The first VC55 record came from Saxby in 2003, the Sharnford record of 9th June 2018 is the second record for our area.